Hi all! 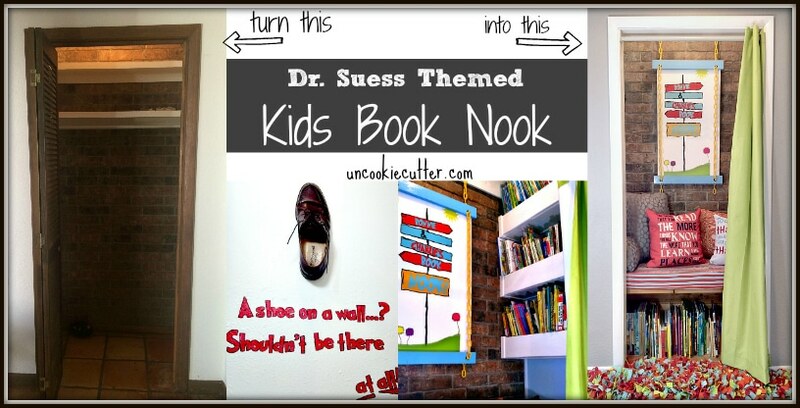 I’m so excited to be sharing my newest project, my Dr. Suess themed kids book nook! We have a weird house. I love the funky layout now , but when we first got here it took a few days to figure out what was going on. We are pretty sure the second part of the house was built as a mother-in-law suite. Our den is located between the kids rooms and has been turned into a kids space – a place where the kids can play Legos, fall asleep on the couch watching movies and hang out with friends. 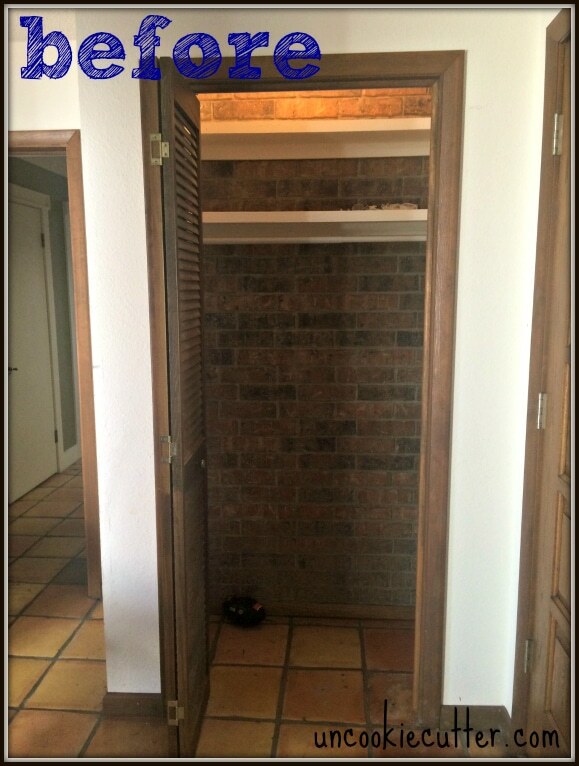 There is a second front door and coat closet, neither of which was ever used. 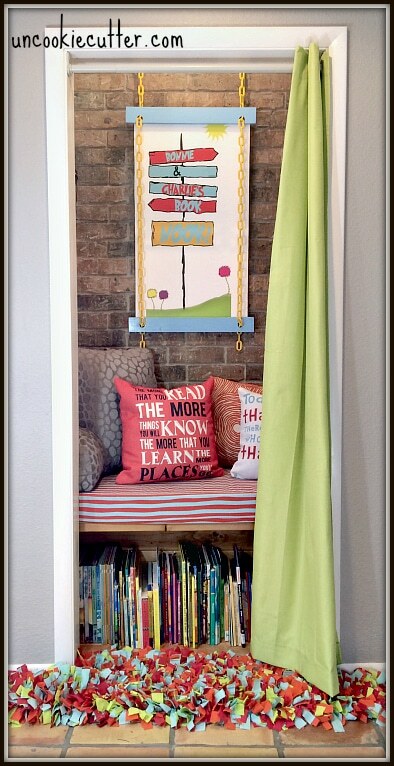 I decided to create a kids book nook after being inspired by my friend Jennifer over at Fresh Crush. Once I saw her project, I knew instantly what I wanted to do with that closet. The Dr. Suess theme came from our love of all things Dr. Suess. I started by ripping everything out and then building the bench and floating bookshelves on the side. 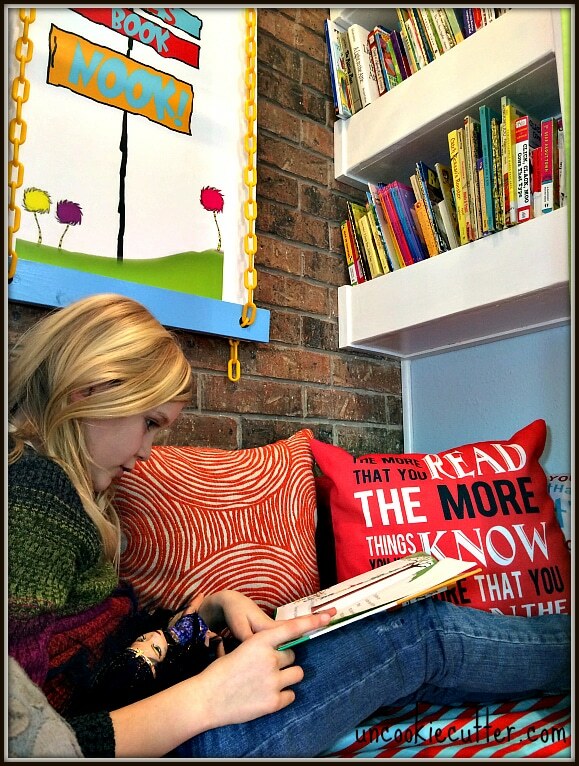 What’s a kids book nook without plenty of space for books? 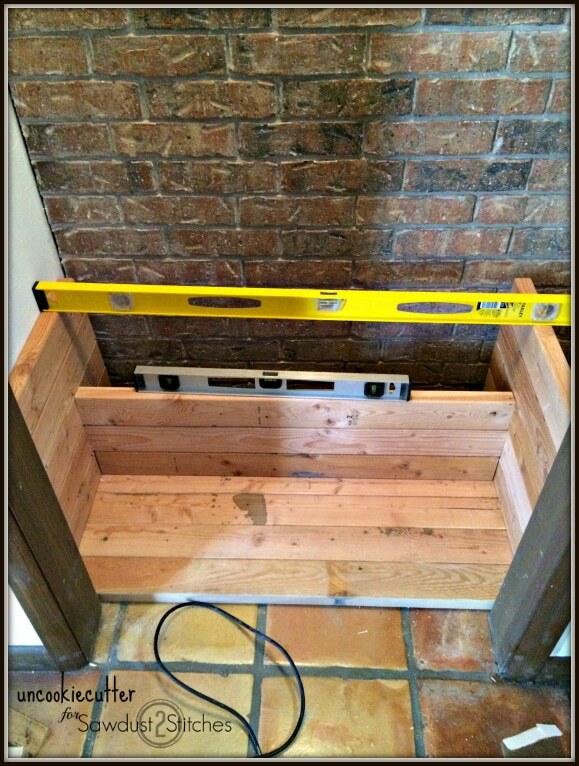 I wrote all about the furniture builds and you can get all the nitty gritty details over on the bench HERE and those awesome and sturdy floating shelves HERE. Once I got everything built, I painted the inside wall Ariel View by Sherwin Williams and the trim Bohemian Lace. I used the same grey on the outside wall that I’ve used throughout the house, which is the perfect greige. See my post about the grey HERE. 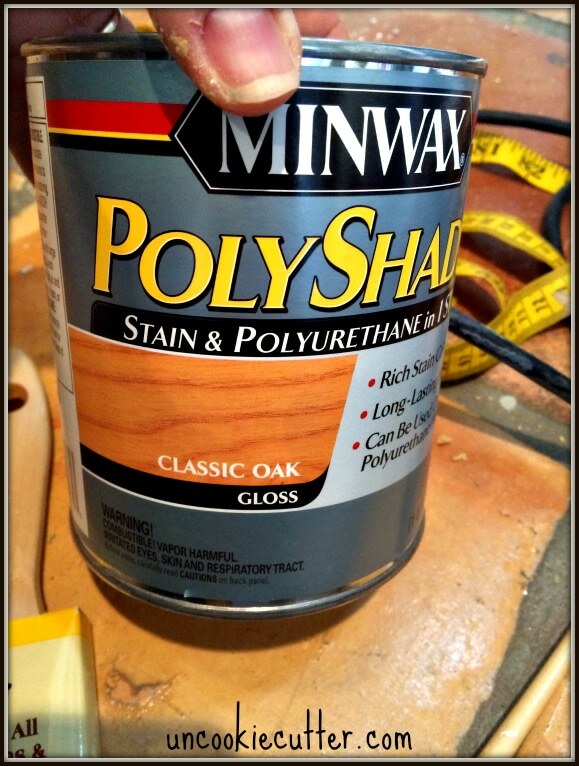 I used this beautiful stain on the bench. My friend BreAnn, over at The Oldish Soul (don’t you just love that name?) made the cushion cover for me. I purchased the fabric on Amazon, which you can find here (affiliate link). I found the Dr. Suess pillows on RedBubble. 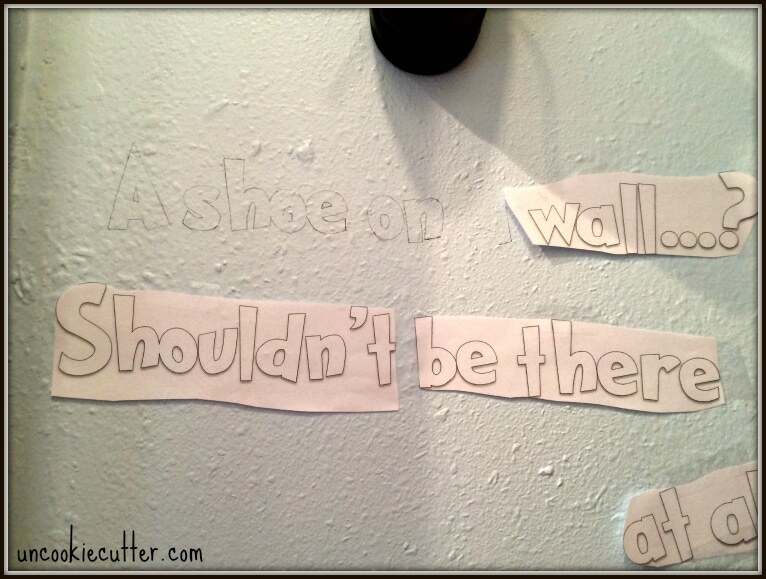 One of our favorite parts of the nook is the shoe on the wall. If you are as familiar with Wacky Wednesday as we are, you get it. My kids thought this part was hilarious. 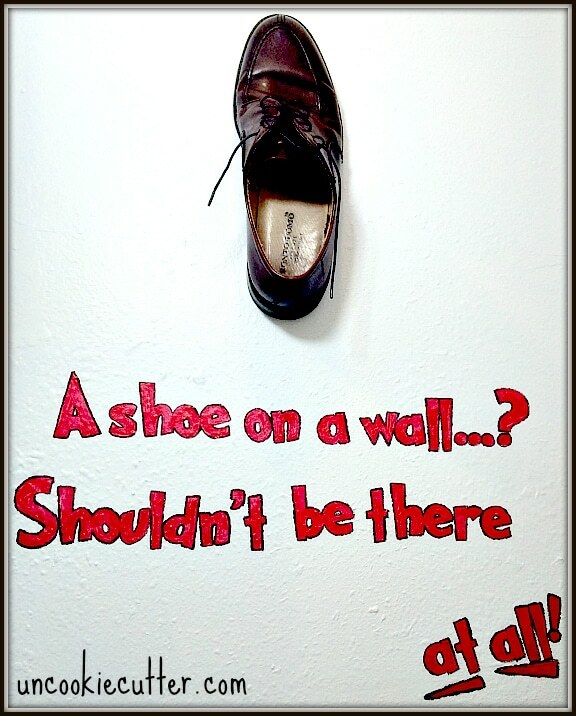 I found a pair of old shoes at Goodwill and drilled a hole in the shoe and attached it to the wall with a drywall anchor. Since I don’t have a fancy Circuit or Silhouette machine (I wish), I just printed out the quote from Word and traced it onto the wall. Then I painted it in with acrylic and outlined it with a black sharpie. You can learn more about how I made the wall hanging art HERE. 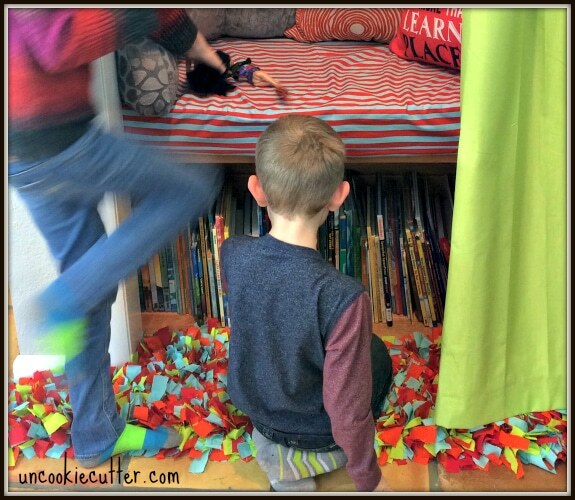 The last project I did for the kids book nook was the rag rug. I followed the tutorial over at Everyday Art, you can see that HERE. The thing that is great about rag rugs, is that they are cheap BUT the best thing is that you can make them any size or shape you want so easily. I cut the rug mat out to the exact shape I wanted. 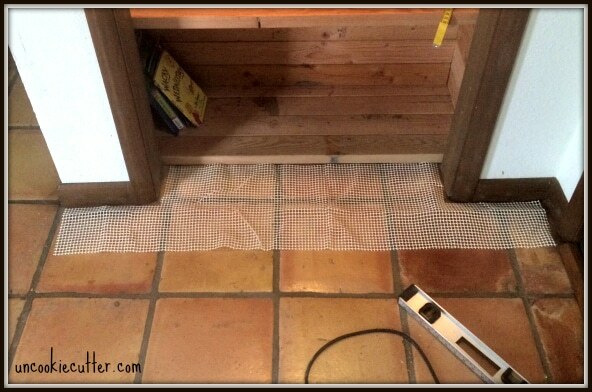 The floor tiles are kind of uneven, so I built the bench level but wanted to cover the gaps between the tiles and bench and this rug was the perfect solution. Plus, it provides a nice cushion for those little knees when looking for books on the bottom. 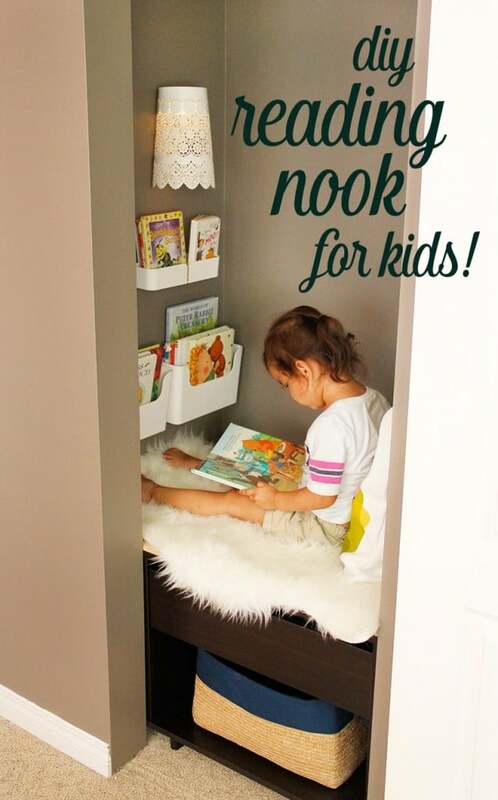 That’s about it for our kids book nook! So glad you stopped by! Have you converted a closet into another space? I’d love to see it. What a wonderful space. You did a fantastic job. That is awesome April!! Great Job! This is a fantastic idea! 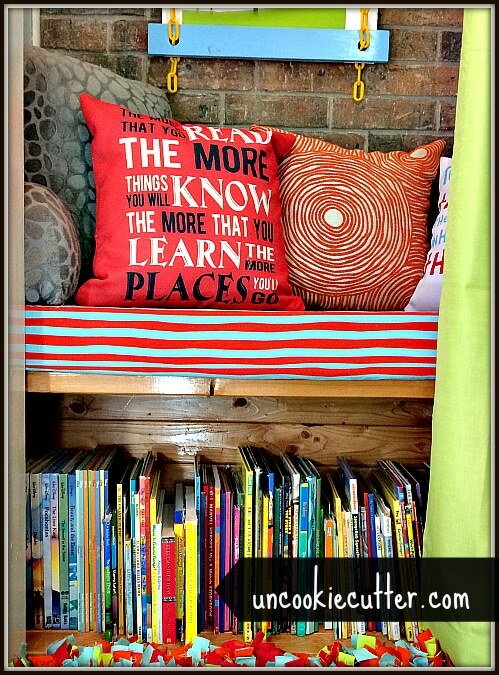 Every home needs a reading nook and this is the perfect space for it! This is adorable! What a great idea and I love the theme. Pinned! This is SOOOO awesome!!! I love it!!! Thanks for sharing and inspiring:) I would love it if you added this to my Kind & Healthy weekly linkup! Wonderful!! Thanks so much for joining me! If I was a kid I would be spening every waking moment in there! … who am I kidding… you would probably find me in there now too 🙂 I love the way your mind thinks and the creative way you made this otherwise boring space unique and inviting! Thank you so much for sharing it at Making Broken Beautiful! I hope you have a great day! Thanks so much Terry! So sweet! This is the most adorable thing. I know your kids love it. You did an awesome job….here from Karen’s. EEKK!!! So excited, thanks so much! Headed over now to party again! This is so cute and a great use of space! Pinned, tweeted, and shared. Thanks for sharing at Merry Monday, hope to see you again next week! Thanks! This space has been a big hit! Glad you stopped by! 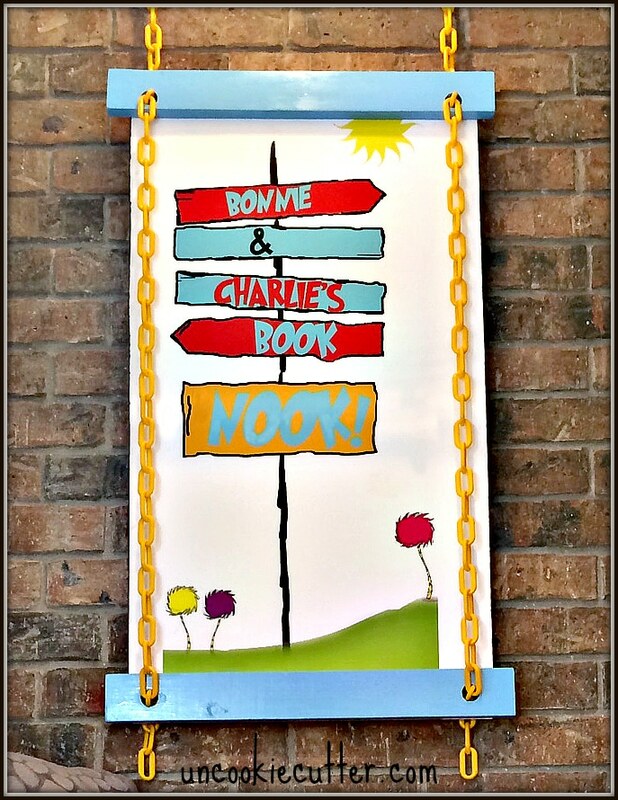 I think the neatest thing about the nook is that your kids use it!! 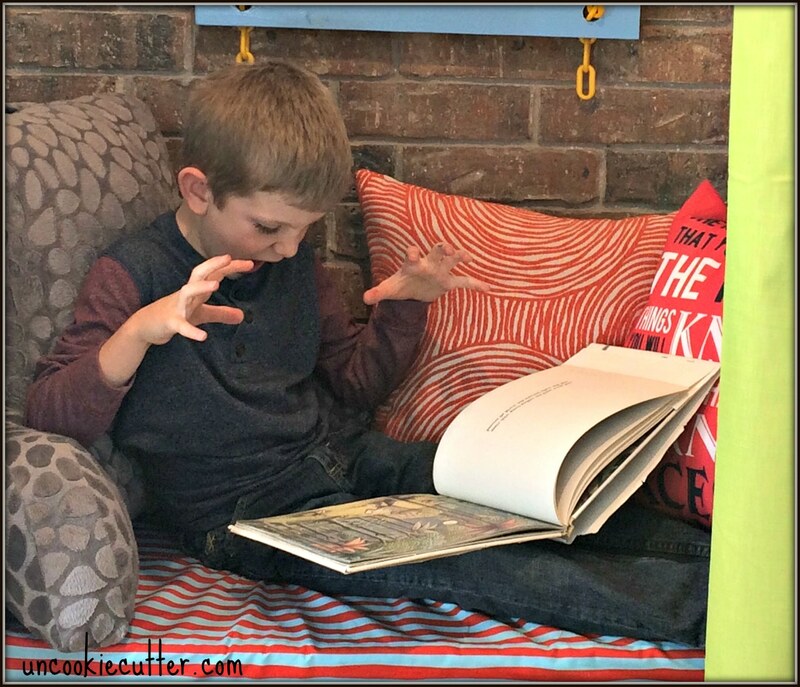 Great idea for your wide open house… cuddling with your book in a cozy place! !